You deserve the best that dentistry has to offer, that is why we administer your dental care using contemporary procedures, like dental implants, Invisalign and all-ceramic crown fabrication. More importantly, Dr. William Hall and Dr. Eric Hall and their staff genuinely care about the person behind your smile. We value you, and so we hold ourselves to high standards of excellence. 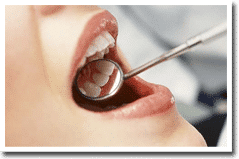 At Hall Dentistry, we are adamant about comprehensive dental care. It’s never too late to have straight, beautiful teeth. Ask about Invisalign, the easier way to get the smile you always wanted. Ask the dentist. Everyone has been kind, helpful & very professional! Best dental experience ever. Highly recommended!!! Our experience has been great. They are always friendly and professional. My family has been going here for years. Excellent care! He and his son are great. I recommend you try them if you are in need of a dentist and/or oral surgeon. Professional and personable. The entire staff is wonderful. 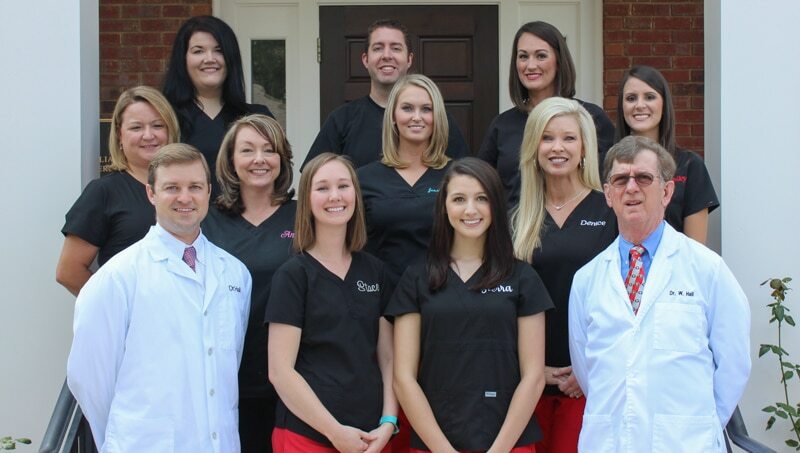 Best dentists in Georgia. Clean office and professional staff! Highly recommended! They are awesome! Very personable. Great office staff too. The dentist and their team are nice and caring people. They are #1 in my book! Great dentist with great service! I would recommend them to anyone! I am very pleased to receive such professional care from both Dr. William and Dr. Eric Hall. The staff is very friendly and courteous. I especially appreciate the follow up after treatment. My husband and I have been patients of these guys for several years now. We have always been treated with the utmost respect on each visit by all employees. They are always explain everything in a way you understand. Very professional. Dr. William Hall, his son Eric and all the staff are professional and personable. Highly recommended practice for your dental needs. Me and my husband like Dr. Hall and his son very much. We appreciate the good work they both do for us. They are very good dentist. I am glad that they seem to care about you, very nice people. I got the sweetest note in the mail from my hygienist Hailey. It is so sweet that she took time out of her busy day to hand write me a thank you note. Thank you Hailey. We have been using Dr. Hall and his son since 1985. We have gone to 3 different locations. We have received good care. We will continue to go there whenever we need dental care. Dr. Eric Hall illustrated passion for his work being thorough, caring and proficient. Melinda (dental hygienist) was very friendly and informative. Wonderful staff from the waiting room to the dentists office to check-out. I have been going to Hall Comprehensive Dentistry for 8 years. The staff are wonderful, caring, and helpful. Drs. Eric and William are the best! I truly feel as though they care about me as a person and a patient. Both Drs. Hall are great Dentists and outstanding, caring people. Dr. William has been my dentist for over two decades. I would highly recommend him and his son to anyone desiring to be part of the Hall family. Keep up the good work! I love the entire staff of this office! Everyone is so kind, considerate and patient! I have been a satisfied patient for over twenty-five years. I value the fatherly advice that has led to years of oral health. It’s a special relationship when your dentist feels more like a brother. This is a friendly and very professional dental office. I receive the best possible dental care from Dr. William Hall and his son Eric. They are always ready to see me at my convenience. If I have time I can usually be seen for a procedure the same day of my examination. I highly recommend Hall Comprehensive Dentistry to all my friends. Dr. Hall is so patient and kind. Absolutely wonderful experiences each time and I am extremely apprehensive and a nervous wreck before dental work! Everyone was great, I felt important. You all always explained everything to me. We would never consider going anywhere else in Middle Georgia for dentistry care and would very highly recommend Hall Comprehensive Dentistry for any kind of dental problem you may be experiencing. Excellent staff at the desk and at the chair, clean, modern, excellent Doctors. I trust their opinions. Of course I usually take 8:30am appointments but have never waited more than 5 minutes. 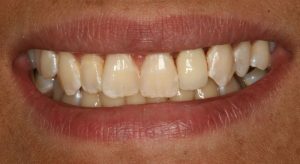 I am a brass musician and needed major work on my front teeth. Dr. Eric made sure it would not impact my playing or performing. His team took care of everything and I am very pleased. Thank you! I am new to this practice, but my first appointment was excellent!! Everyone was very nice and professional. Dr. Hall explained everything to me and my hygienist was GREAT!! Everyone here has been wonderful to me. I recommend this practice highly! All of the staff from the ladies at the counter to the one assisting him and Dr. Hall himself were all amazingly friendly. It took about 30 minutes and my problem was solved. I have been very pleased with the office staff as well as Dr. Hall. Everyone has been kind and helpful and very professional! could have not asked for my wife Angie to have been treated any better. Dr. Hall and Dr. Eric hall and their staff are the best. They have a wonderful, friendly staff and a beautiful office. If you are looking for a Dentist in our area, I would highly recommend you check them out. I love the entire staff!!! Dr. Eric Hall is a phenomenal dentist!!! They are very sensitive to their patients’ needs. I recommend them to everyone. You will not find a kinder dentist office in our area. I feel they did very thorough work, and they were able to answer the specific questions I came with about my children. Thanks for a great visit! The Halls’ patients leave with a happy smile because their business is professional, friendly, and prompt. I feel like I’m the only patient as they are never rushed. Dr. William and Dr. Eric are wonderful! The office staff and hygienist are always friendly and make it a great experience! Dr. Eric Hall is hands down the best dentist in Macon. I can finally go to the dentist and feel completely comfortable and confident with my dentist!